With the first Racketlon tournament in South Africa coming up in the end of July Racketlon is about to reach a new continent! A multi-racket tournament is known to exist on the French island "La Reunion" outside the eastern coast of Madagascar (it is visible on the map above for those with good eyes) but Racketlon as the FIR now defines is not known to have taken place anywhere on this vast continent. 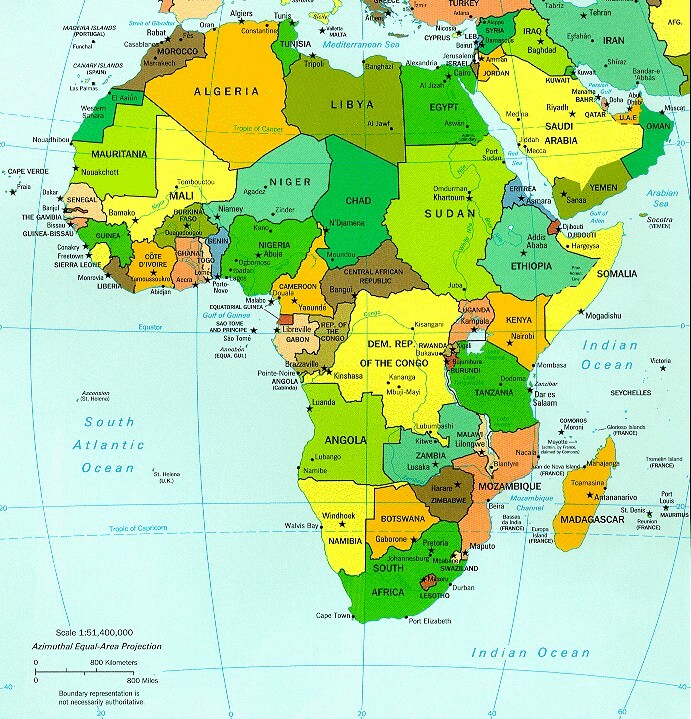 The 28-29 July it is time for Africa, the last of the five continents! Patric Kalous, based in Cape Town but with Czech ancestry is the tournament director that intends to write history with the first "Cape Open" to be held at the facilities of the University of Cape Town. And a South African Tour is in the pipe including a "South African Open" in capital Johannesburg planned for the beginning of December.